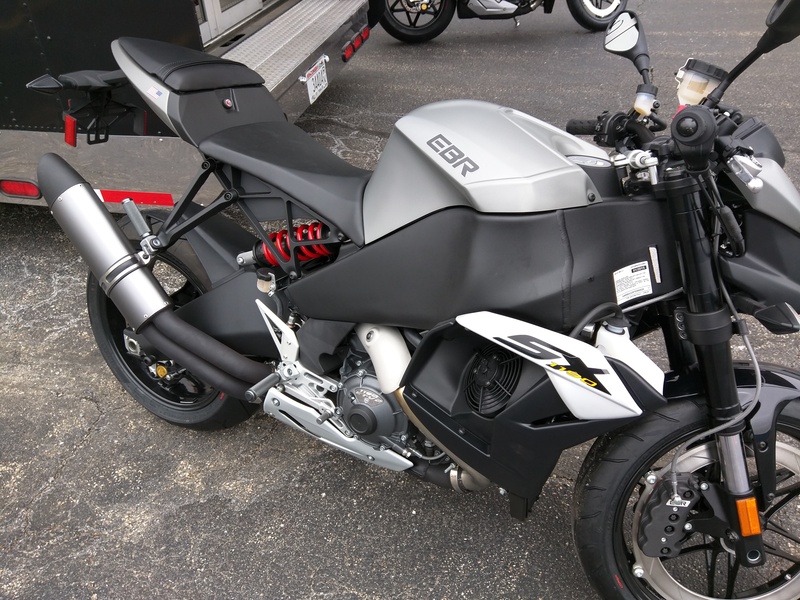 Install instructions for both 1125 and 1190 exhaust systems. 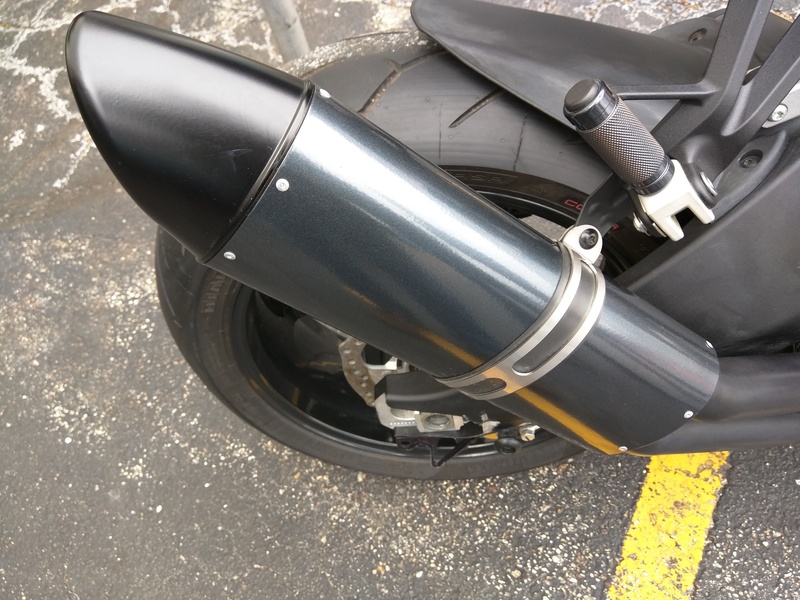 Loosen clamps for secondary exhaust, remove bolt securing the 1/4 wave silencer. Loosen axle nut, back off chain adjusters. Remove idler bolt behind cover. Remove bolts from the stock exhaust (3 of them typically). 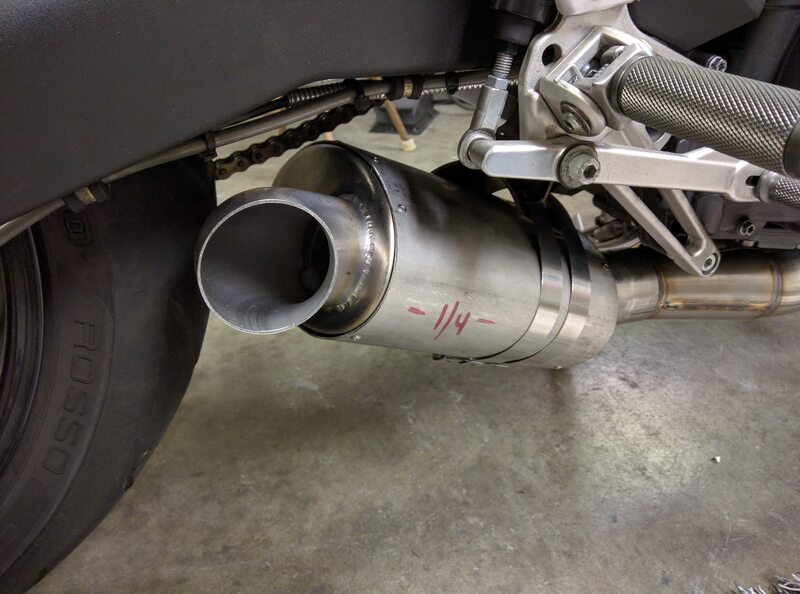 Caution, stock exhaust is 20 lbs with the secondary silencer removed. Loosen right side foot peg bolts (2), exhaust should drop at rear. Pull stock exhaust system off and set aside. Install 1/2 moon bracket to hanger, snug bolts with nylock nuts. 1125 pictured, 1190 is the same. Install bracket, re-use stock exhaust bolts with new nylock nuts. Assemble collector to muffler, snug down the T-bolt clamp lightly. Install exhaust onto headers, some massaging or wiggling may be required. Front header may not be perfectly round, so keep that in mind. Occasionally, loosening the front header bolts (4 at the head) may ease installation if the spread between the headers is too large. Install 6" band clamps around muffler body. Oval body installation may require removal of nuts to put the band clamps in place, but there *IS* enough threads to install them correctly. 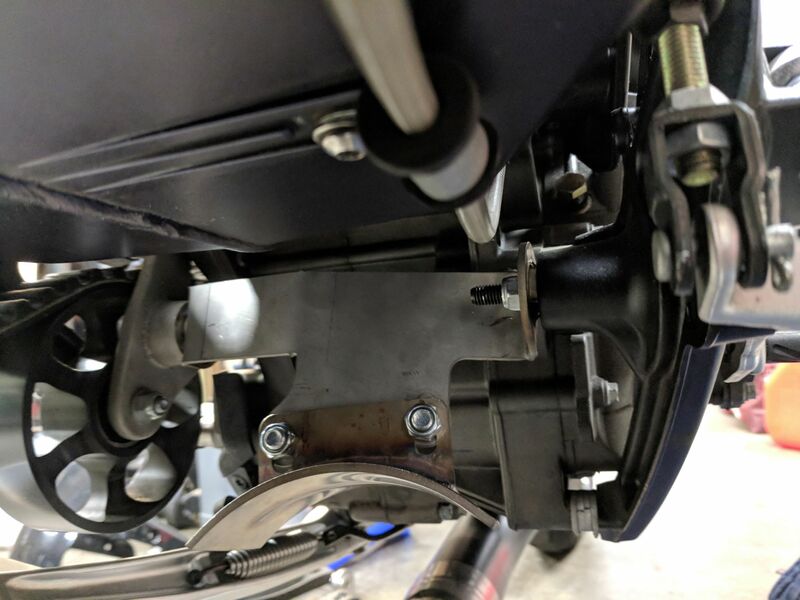 Gap on the hanger bracket is normal for oval body mufflers. Align exhaust outlet to set roughly horizontal with the ground. It should not be aimed up toward the swingarm or down at the ground. There should be a minimum of 1/4" clearance at the tire, if not, the exhaust is not all the way seated on the headers correctly. Tighten all band clamps to 110 inch pounds of torque. Install the ECM, do a TPS reset prior to starting the bike. Reset proper chain tension and tighten the axle and adjuster nuts per the manual. At the suggestion of an owner... "Now add a funny little line in at the end releasing you from all liability for hearing loss and recommend users wear ear plugs!"